Magic of Egypt - When I first saw the Xena Scrolls I hated it (LOL). I did but then I fell in love with wonderful tales by Bat Morda and Della Street and I realized there's a lot to Janice Covington and Mel Pappas than the one ep allowed. Magic of Egypt was born from the first scene. I tried to be very descriptive. Big Band Music. A crowded dance floor. A smoky room and a gorgeous dame in blue (G). I also wanted to 'femme' Janice up a bit, but keep her in true forum - absolutely lovely in shimmering gold, but incredibly uncomfortable (G) in the process. 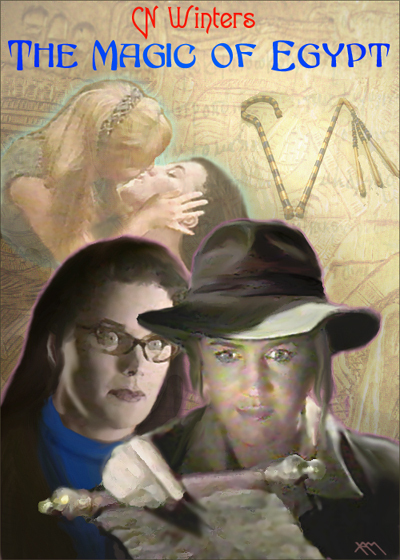 I loved the way it turned out and their story of discovering Xena and Gabrielle had been lovers was a wonderful prelude for them to take the step as well. As for the 'subplot' of Xena and Gabby, I loved the end of King of Assassins and wanted to use Cleopatra. And as for the ending for Mel and Janice, I was stuck for two weeks on how to wrap it all together. One night at 2 in the morning I woke up and said 'That's it!'. 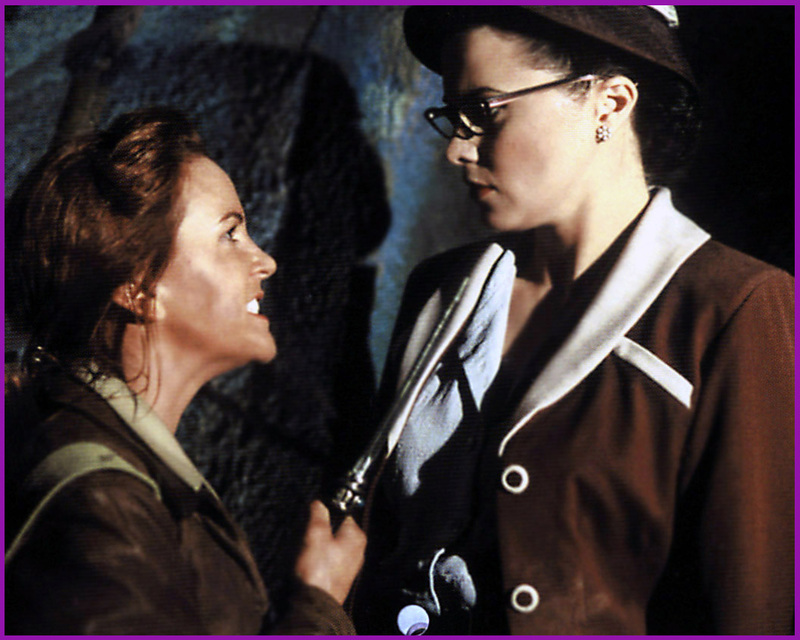 I hoped on the PC and the rest is Xena fanfiction history (G). Magic of Paris - Again fans asked so I delivered Magic of Paris. I wondered once more what could cause a conflict big enough to shake up Mel and Janice's relationship. The answer was a child. Unlike Home Sweet Home I wanted to add elements of 'modern day' to the dilemma. I also wanted to show the 'cocky, fearless' Janice in a new light - 'uncertain and scared'. I added many other issues into the story such as health as we age, parenthood, lesbianism and a few Sinatra tunes (G). I also wanted to deal the Xena's past and how that would effect her future in every step of her life. I'm very proud of this work as well. My computer crashed on the last chapter (I'm not sure what it is about tying up this series but it feels like bad karma (G)) but it turned out to be a blessing. I think my revision turned out better than the original.